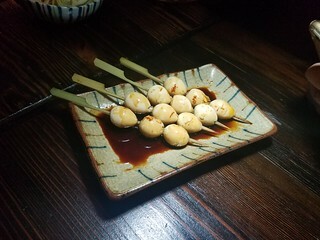 YB features authentic Japanese-style tapas – assorted small dishes and skewers grilled over charcoal. AKA Heaven. Since they ARE affiliated by Wasabi, it was important for me to order their ramen the first time I went here – and every time thereafter. 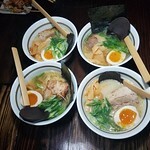 My personal recommendation is getting their Spicy Shio Ramen – the noodles are different than the other two bowls that are offered. The service here is also phenomenal. From the several times I’ve come to visit, it’s always the same two ladies who ran around amongst all the tables. There are private rooms along the side, which can be closed off by the draped curtain. I’ve seen lots of OG Japanese men in business suits, ordering lots and lots of refills on their sake. To me, this is a sign of an authentic Asian restaurant. My skewer favorites varies every time I go. 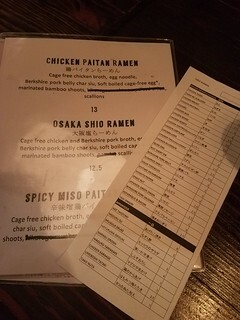 I think every time I’ve gone, however, I need.. NEED… to order the quail eggs. Even my kids love them! 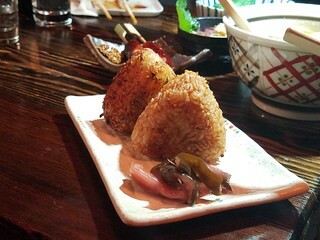 And we love ordering the onigiri – grilled rice balls! What’s not to love 😉 They do come out hot, so my kids have to break them down, preventing a pretty “Insta-worthy” shot. But I manage to get one before they attack. It’s about a 40 minute drive from the city, but personally, I think it’s worth the adventure. 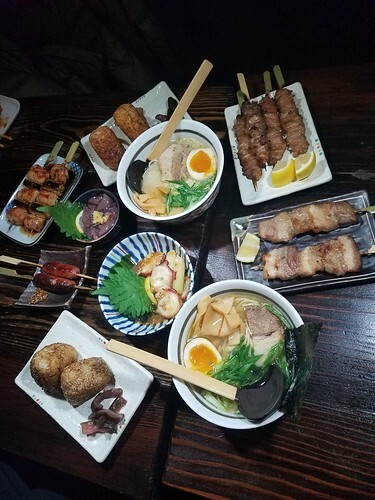 So gather up some friends, call ahead to reserve a tatami room so others can’t see you stuff your faces! Yakitori Boogytori is located at 932 W. Algonquin Rd in Arlington Heights. You can make reservations by calling them (847-262-5914).